When buying a treadmill that you are planning to use in your apartment, you ideally want two main aspects from it (compared to that of the standard treadmill) - i) for it to be compact (to minimize the use o a f room & storage etc.) and for it to be 'whisper' quiet in use (as to not bother anyone else in the apartment & neighbours etc.) -- also for it to be a generally decent -- well engineered treadmill. This article presents you with such treadmills in the following showcase -- hopefully you will find the one that is just right for you & at the least give you a better indication as to what you are after. If you are really tight on space - this is pretty much the best 'ultra-compact' treadmill you can get, as you can see from the dimensions it takes up barely any room (relative to other treadmills) & also has the ability to fold down on itself to just 10 by 59 inches -- this then allows you to store it either vertically or horizontally -- due to it being pretty lightweight at 99 lbs & having attached wheels (easy enough just stick it under the bed or in a cupboard). This being said, even though it is compact - it doesn't let you down on performance surprisingly enough. Granted the deck size is smaller than usual (17" by 45") but it is still more than sufficient to do some easy walking as well as some fair paced jogging & running (with the belt speed going up to 6 mph --based on a 1.5 HP motor). You also are provided with an LCD console that provides you with all the relative vitals & stats (e.g. distance, calories burned, time etc. as well as being fitted with a heart rate monitor), which also allows you to select specific fitness programs (e.g. targeted weight loss). In all, this highly rated & award winning treadmill is certainly worth a look at - because in terms of minimizing storage use -- it really doesn't get much better. 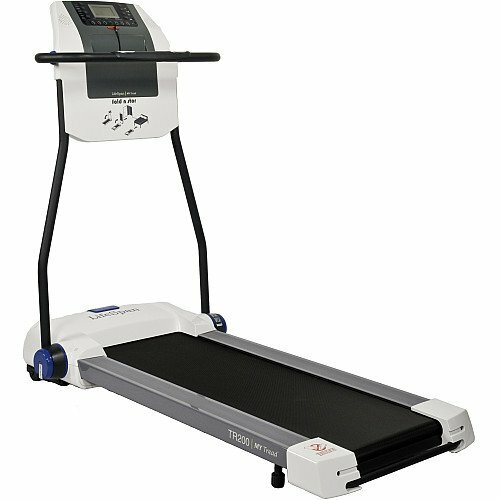 Again, this model is similar to the Evolve SG Compact Treadmill only slightly larger (see Dimensions), but still very compact & can still be folded down as well as with the fitted wheels -- it can be easily attached just moved into a closet, under a bed etc. to be stored away. Given this model is slightly larger, it offers 'more' in the sense of a treadmill - whereby it has a slightly longer running deck (17" by 48") as well offering you a greater deck speed of up to 8 miles per hour. Moreover, you get to adjust the incline levels (a range of 10) to increase the intensity of your workout. Again, the centralised LCD console displays all the usual stats (calories burned etc.) but gives you more in the way of fitness programs & targets than that of the Evolve SG does. This is a premium product that has been gifted numerous awards (e.g. Gold medal excellence award, Treadmill Doctor -- Treadmill of the Year etc.) and on that basis alone, you should be checking it out at the least. Relative to the SG compact it is a kind of trade off between space consumption & treadmill quality. 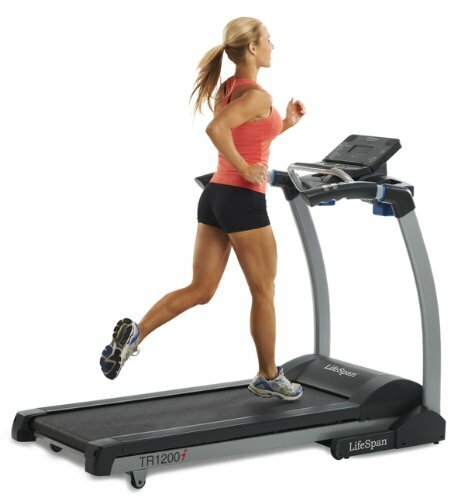 This treadmill is about as compact as you are going to get (& at under $200 offers you pretty decent value too, but don't expect anything in terms of performance like that of the other treadmills in the selection) -- easily being folded to store away or simply just lean up against a wall. It is manually operated so however fast you go - the treadmill goes, but ultimately this is a 'walking machine' more than anything - it will be difficult to conduct a decent run, even just on the basis of the small running deck which is 41" x 13" (I'd be a bit worried about falling off). Moreover, the console doesn't offer you anything in regards to fitness programs and only displays the very basics such as a rough estimate of calories burned, the speed, distance etc. (& requires AA batteries to operate). But for those, who are on a bit of a restricted budget & are very tight on space -- it is a sound option & a treadmill that offers you a lot of bang for your buck. This treadmill is my personal favourite, although it is a fair bit larger than the others (& a bit more expensive), so be sure that you have enough room for it in your apartment -- but it really does make up for it by offering you great value for your money (it is basically the complete treadmill which has won numerous awards e.g. Best Treadmill Under $1000, Treadmill of the Year 2013 by Treadmill Doctor etc.) 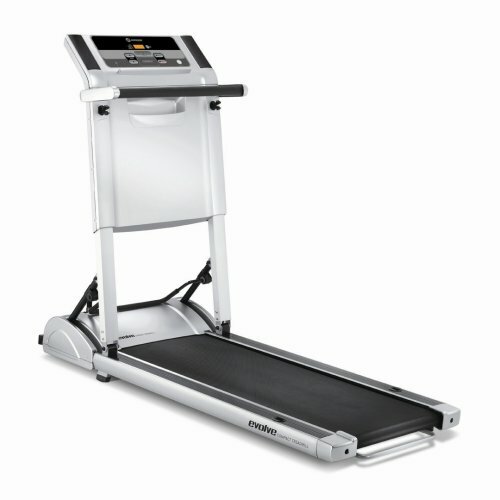 -- offering every you could want & more from a treadmill. Note: that it is also foldable (folded dimensions: 33 x 66 x 39 inches) so it is somewhat space conscious relative to that of other standard 'full-size' treadmills. First off, you get a much larger running deck (20" x 56") that in turn allows you to perform a much wider range of cardio work outs - from gentle paced walking to full on sprinting (whereby the 2.5 HP motor provides speeds from just 0.5 mph up to that of 11 mph, along with 15 specific incline levels on offer). Moreover, the LCD console provides a huge range of fitness programs (in particular the 'Heart Rate Zone', which is especially for good weight loss) that have been designed by leading health & fitness professionals (along with options for customizable work outs too) as well as displaying all your usual stats & vitals (e.g. heart rate etc.). You also get jack-in ports so you can clearly listen to audio books & music whilst working out. In all, this is a really, really great treadmill & if you have enough room, I seriously suggest you take a good look at it. 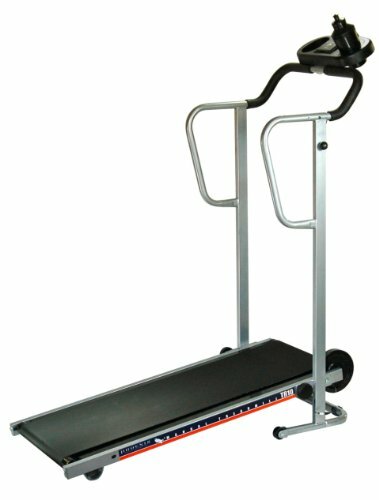 If you have any questions, comments or concerns regarding either the article - best treadmills for apartment living or about any of the models mentioned above then please do not hesitate to make them in the comments section just below and we will be sure to get back to you as soon as possible. Make sure you also buy a protective treadmill mat to prevent both your floor from getting damaged as well as your treadmill. 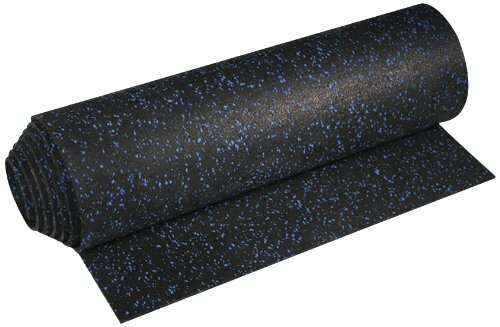 This ProImpact mat is used by thousands of health centres & gyms and is highly recommended. Moreover, make sure that you get some lubricant for your treadmill belt too.